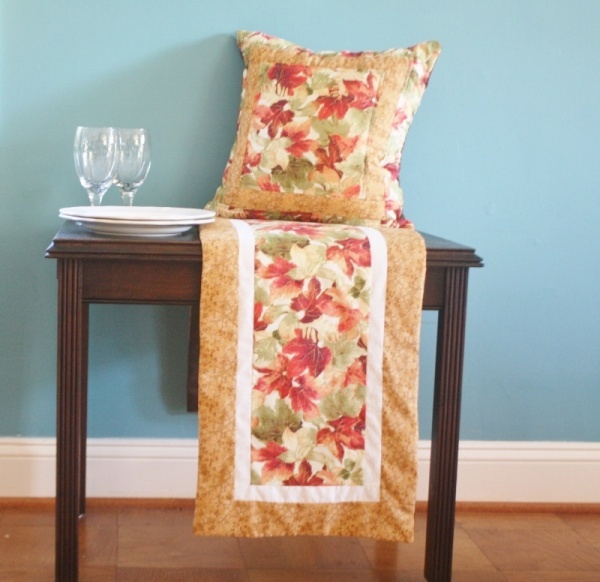 Summer is in full swing; but, believe it or not Fall is on its way. While eating ice cream and snow balls it is not easy to think about decorating for fall. 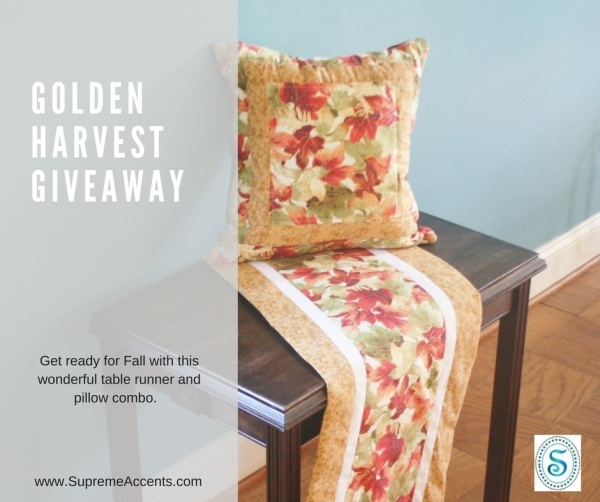 So, we are going to give you a head start with our Golden Harvest Giveaway from August 9, 2016 to August 30, 2016. 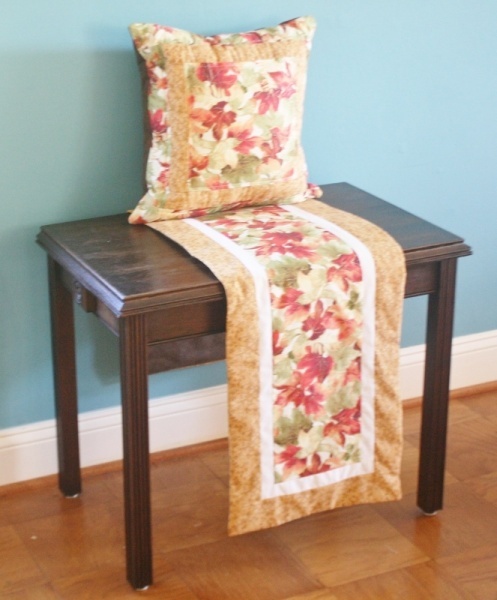 This is your chance to win this beautiful handmade table runner with matching pillow. PS. Find other giveaways here. So attractive, perfect for autumn.